In recent years, Cml, G12 and Simpl, have achieved significant progress in automating the generation of hybrid solvers from high-level model specifications. 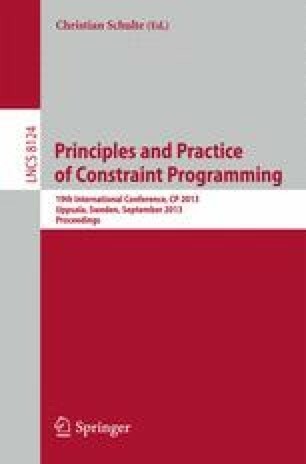 This paper pushes this research direction one step further and introduces the concept of model combinators to provide principled model compositions. These model combinators rely on runnables capturing executable models, runnable signatures that capture what runnables can produce and consume, and model hierarchies, which track relationships among models. These concepts make it possible to enforce the soundness of model compositions and to determine the best model compositions automatically. A prototype of the framework on top of the Objective-CP optimization system is presented.